A few weeks ago we decided to pop down to Gunwharf Quays in Portsmouth. For those who haven't been Gunwharf Quays is known for their retail outlet along with a big selection of restaurant / bars. If I am honest the shops don't really interest apart from The White Company and The Cosmetic Company. 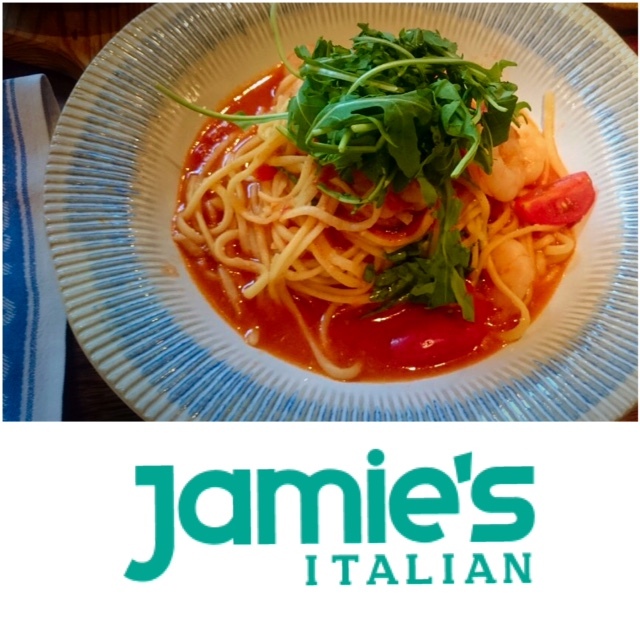 Anyway since its been over a year since we last visited we decided to head down for a browse around and to eat at Jamies Italian. We have eaten here a few times previously and really enjoyed it was the obvious pick since we don't have one where I live. We shared 3 starters between us Cured Meat plank for 1 which includes: Fennel salami, pistachio mortadella, prosciutto & schiacciata piccante served with mini buffalo mozzarella, pecorino & chilli jam, a selection of pickles, olives & crunchy vegetable slaw. A portion of Pork Scratching with orchard dipping sauce and finally a portion of Calamari Crispy Squid with garlic lemon mayo, chilli, parsley and fried garlic. 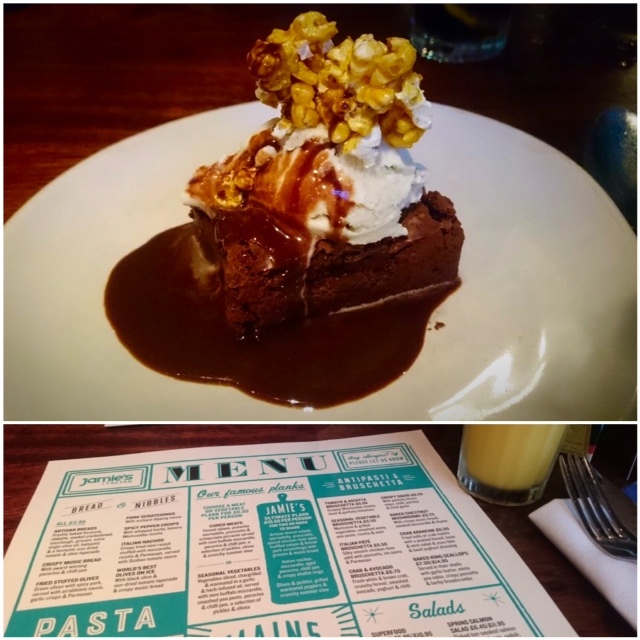 We don't usually pick desert we both always prefer starters over desert but I couldn't resist a warm epic brownie with vanilla ice cream and caramelised popcorn so we decided to share...well I say share I think I pretty much ate it all! I highly recommend this place including a soft drink each our bill only came to £55 (excellent service) which is SO good value for money. You can look here to locate your nearest branch, I think they have them scattered all over UK. 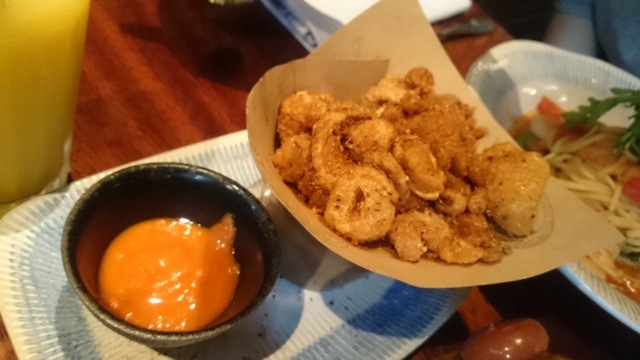 I absolutely love Calamari and that look delicious! The brownie also looks fab! I really like Jamie's Italian - it might not be the most authentic or unique place to go but it's so consistent and their puddings are always decent! 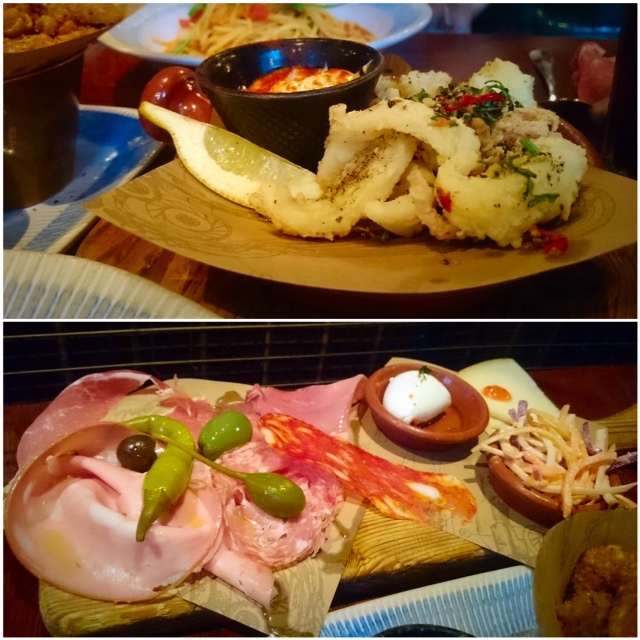 I like their anti-pasti boards to share with friends as a light lunch, so yum! I use to love their squid ink pasta but sadly it's no longer on the menu. 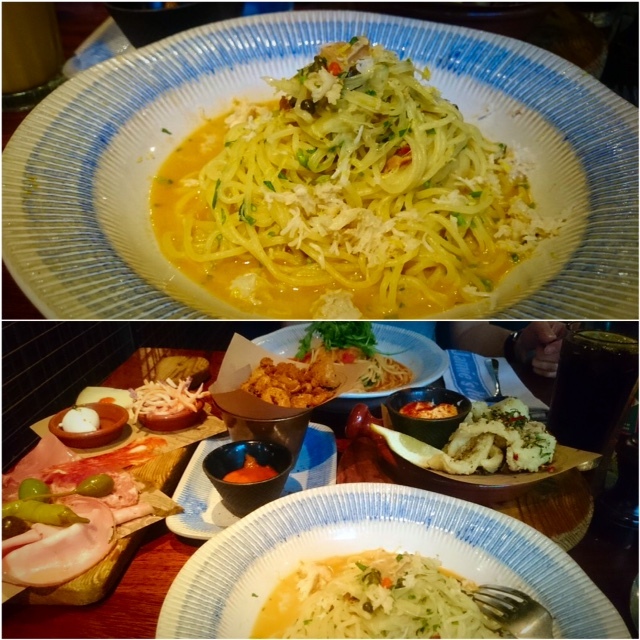 The crab spaghetti was really tasty and you can taste all the crab meat and the cream from the shell. Definitely one of my favourite chain places to visit! We have only ever visited the Portsmouth one and that's always been good. I would perhaps try a different restaurant if you have been visiting the same one. Also for you to say it''s salty it must be VERY salty lol.